NEW BRITAIN - Sammy Rivera was sporting a blue tongue from a freeze pop handed out by the Friendship Center to “put a freeze on crime” Tuesday night. 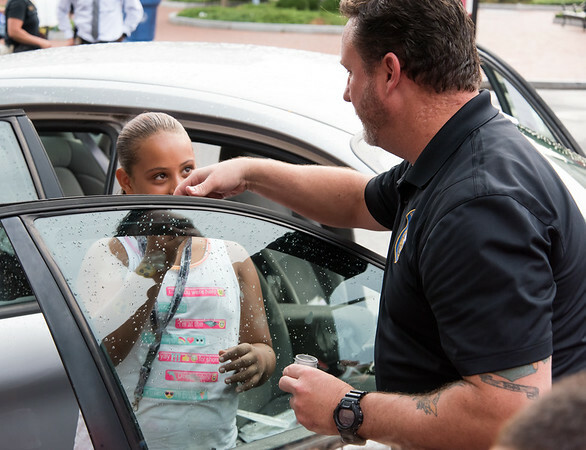 The 9-year-old was part of a crowd of hundreds who braved a sudden downpour and a few claps of thunder to enjoy the annual National Night Out sponsored by the New Britain Police Department. 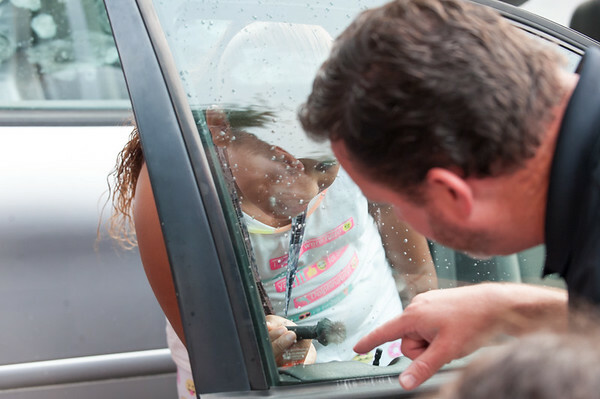 The local event is part of the countrywide National Night Out which is designed to bring communities and police together on one evening in August to send a message that neighborhoods are watching and they will report crime. 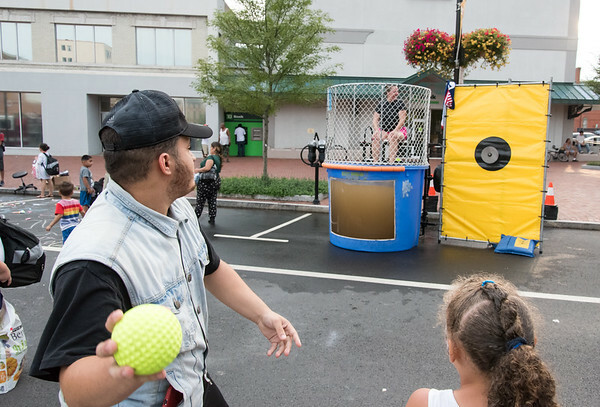 Tuesday marked the second year that the event was held downtown in Central Park and the surrounding streets. 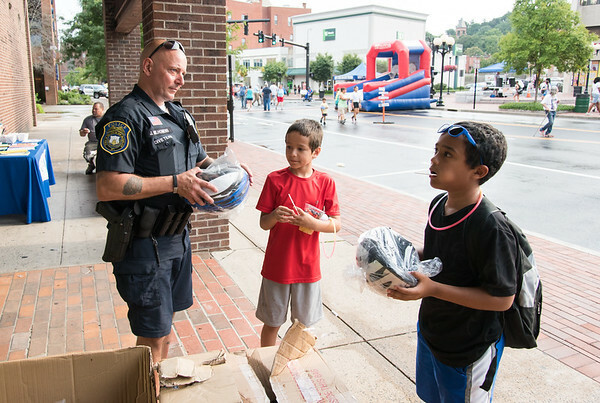 Two bounce houses had to be slightly deflated as the rain moved in, but all across the park people of all ages were enjoying the free hamburgers and hot dogs and mingling with police officers. 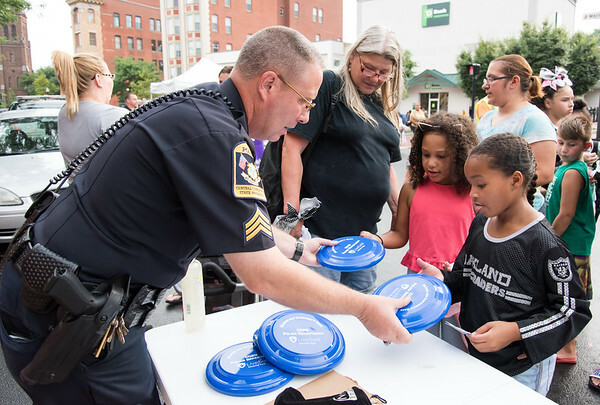 New Britain Police have hosted National Night Out events across the city for years. When Sgt. 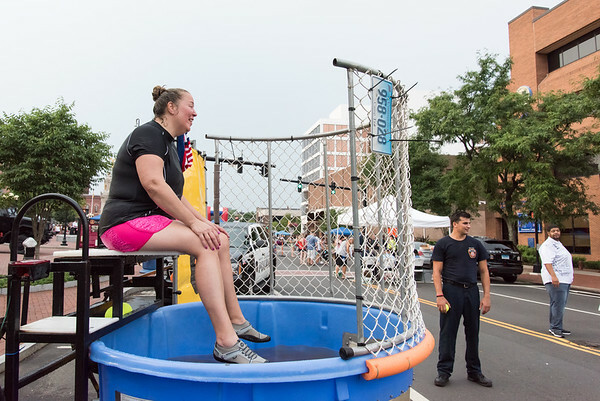 Paula Keller took over the organization of the night four years ago, she sought to also include service agencies and bring the community together in one spot where everyone could have a good time. 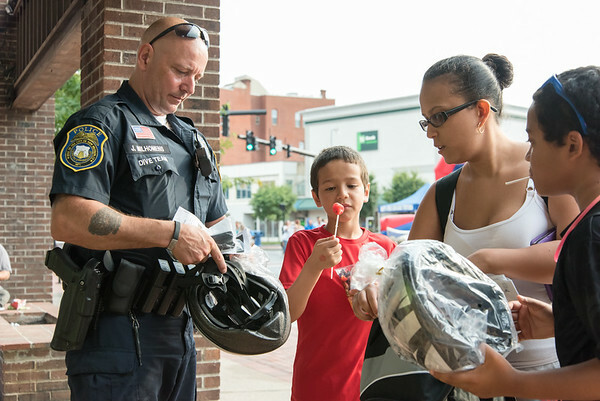 Several hundred people had already filled the park by 6 p.m. Officers handed out free bicycle helmets and free backpacks and were recruiting for candidates who want to attend the police academy. Capt. William Steck was behind the grill flipping burgers and hot dogs as volunteers handed out chips and water. 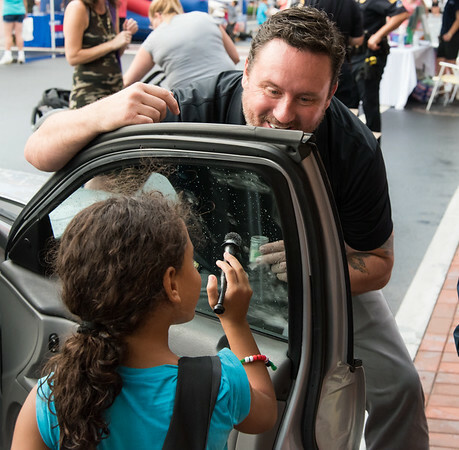 Kids were required to get a stamp from some of the vendors to qualify to receive the free items, which ensured they learned something from the evening. The Friendship Center was providing information on its homeless outreach program for those living on streets while handing out brightly colored freeze pops to make a statement about freezing crime. 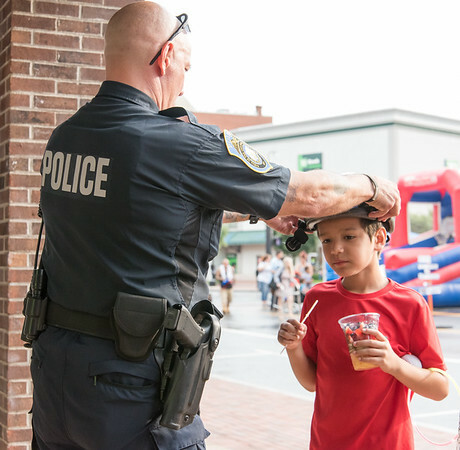 “The freeze pops were really good,” said Rivera who was at the National Night Out with his mom, several brothers and other kids. Lisa Backus can be reached at 860-801-5066 or . 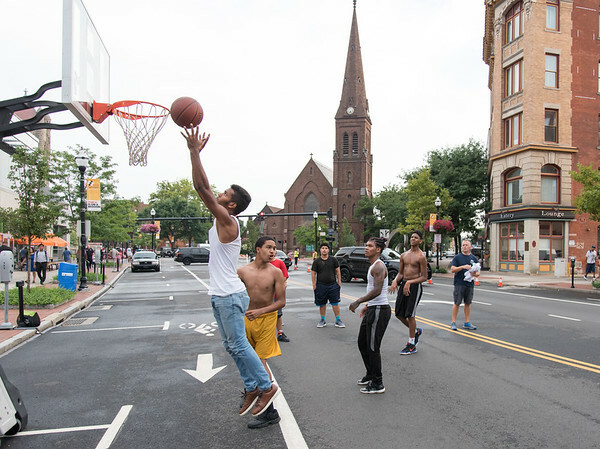 Posted in New Britain Herald, General News, New Britain on Tuesday, 7 August 2018 20:07. Updated: Tuesday, 7 August 2018 20:09.